John Adams Kuakini Cummins was born March 17, 1835 in Honolulu. He was a namesake of island governor John Adams Kuakini (1789–1844), who had taken the name of John Quincy Adams when Americans first settled on the islands in the 1820s. His father was Thomas Jefferson Cummins (1802–1885) who was born in Lincoln, England, raised in Massachusetts and came to the Hawaiian Islands in 1828. His mother was High Chiefess Kaumakaokane Papaliʻaiʻaina (1810–1849) who was a distant relative of the royal family of Hawaiʻi. In the 1840s, his father first developed a cattle ranch and horse ranch. Facing diminishing returns in the cattle market, in the 1880s, John began to grow sugar cane in place of cattle. This plantation was known as the Waimanalo Sugar Company. He married Rebecca Kahalewai (1830–1902) in 1861, also considered a high chiefess, and had five children with her, four daughters and one son. Cummins was elected to the House of Representatives in the legislature of the Hawaiian Kingdom in 1874. King Kalākaua appointed him to the Privy Council on June 18, 1874 shortly after Kalākaua came to the throne. Even though Cummins voted against former Queen Emma in the election, she asked him to manage a trek for her around the islands in November 1875. He had staged a similar grand tour the year before for Kalākaua. Emma was not disappointed. Although many ancient Hawaiian customs had faded (due to influence of conservative Christian missionaries, for example), Cummins staged great revivals of ceremonies such as traditional hula performance. In the legislature he advocated for the Reciprocity Treaty of 1875 with the United States, which helped increase profits in the sugar industry, and his fortunes grew. The sugar industry became a huge success and gave way to other innovations in the area. For instance, the use of railway tracks and locomotive were due to the boom of the sugar business. Cummins left the sugar business to William G Irwin, agent of Claus Spreckles, and developed a commercial building called the Cummins Block at Fort and Merchant streets in Downtown Honolulu. In 1889, he represented Hawaiʻi at the Paris exposition known as Exposition Universelle. 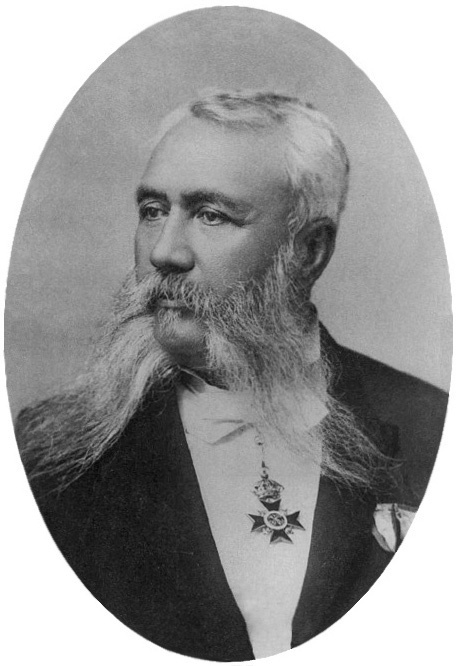 On June 17, 1890 Cummins became Minister of Foreign Affairs in Kalākaua’s cabinet and thus was in the House of Nobles of the legislature for the 1890 session. When Kalākaua died and Queen Liliʻuokalani came to the throne in early 1891, she replaced all her ministers. Cummins resigned February 25, 1891. He was replaced by Samuel Parker who was another part-Hawaiian. Cummins was elected to the 1892 session of the House of Nobles, on the Hawaiian National Reform Party ticket. He also organized a group called the Native Sons of Hawaii which supported the monarchy. 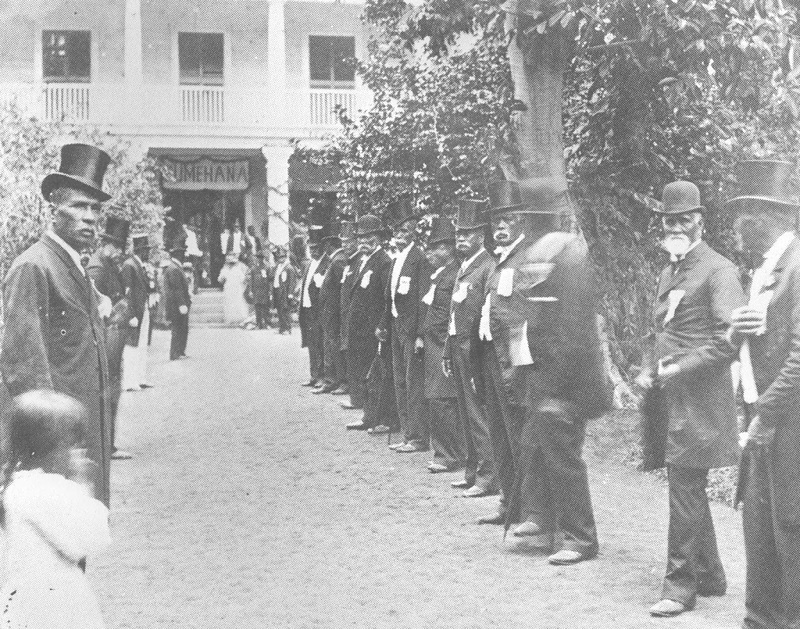 After the overthrow of the Kingdom of Hawaiʻi in early 1893, Liliʻuokalani asked Cummins to travel to the continent to lobby for its help in restoration of the monarchy. The task, which included Parker and Hermann A Widemann, ended in failure. However, on the voyage to the west coast, William T Seward, a former Major in the American Civil War who worked for Cummins and lived in one of his homes, smuggled guns and ammunition for the failed 1895 counter-revolution. Thomas Beresford Walker, Cummins’ son-in-law (married to his eldest daughter Matilda,) was also implicated in the plot. Cummins was arrested, charged with treason and convicted. He was sentenced to prison, but released after paying a fine and agreeing to testify against the ones actively involved in the arms trading. He died on March 21, 1913 from influenza after a series of strokes and was buried in Oʻahu Cemetery. Well liked, even his political opponents called him “the playmate of princes and the companion and entertainer of kings”. The territorial legislature had tried several times to refund his fine, but it was never approved by the governor. His funeral was a mix of mostly traditional symbols of the Hawaiian religion, with a Christian service in the Hawaiian language, attended by both royalists and planners of the overthrow. Cummin’s great-grandson (through his daughter Jane Piikea Merseberg) was Mayor Neal Blaisdell. The image shows John Adams Kuakini Cummins. In addition, I have included other related images in a folder of like name in the Photos section on my Facebook and Google+ pages. The history of Hawaiʻi’s National Anthems generally starts in 1861. Before then, the kingdom of Hawaiʻi did not have its own anthem, but used the British royal anthem “God Save the King”. Fifteen anonymous entries were submitted. In January of 1862, the judges chose an entry titled “E Ola ka Mō‘ī i ke Akua” as the winner. The composer was Prince William Lunalilo, age 27; his prize was $10.00. His song was a faithful translation of “God Save The King” into Hawaiian, yet it fits the music of the British tune. Lunalilo’s new song was sung first on the birthday of Kamehameha IV. The lyrics of this song praise the Hawaiian Islands. It asks the lord for blessing for the land, its people, chiefs and king. Liliʻuokalani was then the leader of the Kawaiahaʻo church choir, which introduced the new anthem in a public service. 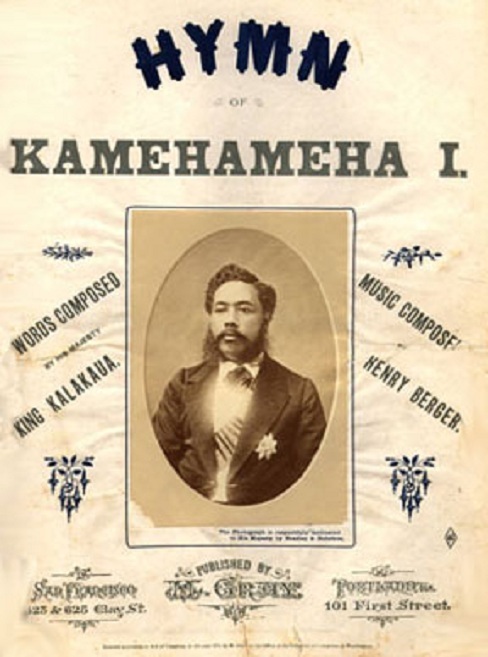 King David Kalākaua (brother of Liliʻuokalani) wrote the words to “Hymn to Kamehameha I” (Hawaiʻi Ponoʻī) in 1874 and the music was composed by Captain Henri Berger, then the king’s royal bandmaster. Hawaiʻi Ponoʻī was one of the national anthems of the Republic of Hawaiʻi and the Kingdom of Hawaiʻi, having replaced Liliʻuokalani’s composition He Mele Lahui Hawaiʻi. The image shows the cover to the music for Hawaiʻi Ponoʻī. In addition, I have added other related images in a folder of like name in the Photos section on my Facebook and Google+ pages. On the advice of his physician King Kalākaua traveled to the US continent for a change of climate to recuperate his health. He died at the Palace Hotel in San Francisco on January 20, 1891. His remains were brought back to Hawaiʻi aboard the USS Charleston. As the ship rounded Diamond Head, the flags were seen lowered to half-mast, and it was then that the King’s subjects realized Kalākaua was dead. Kalākaua was succeeded by his sister, Liliʻuokalani, who was proclaimed Queen on January 29, 1891. Her experience as Princess Regent during King Kalākaua’s nine-month journey around the world in 1881 and her visit to the United States in 1887 with Queen Kapiʻolani helped prepare her for her new role as Queen of Hawaiʻi. Queen Liliʻuokalani was determined to strengthen the political power of the Hawaiian monarchy and, at the request of her people, to limit suffrage to subjects of the kingdom. Her attempt to promulgate a new constitution galvanized opposition forces into the Committee of Safety, which was composed of Hawaiʻi-born citizens of American parents, naturalized citizens and foreign nationals; they later organized the establishment of a provisional government. 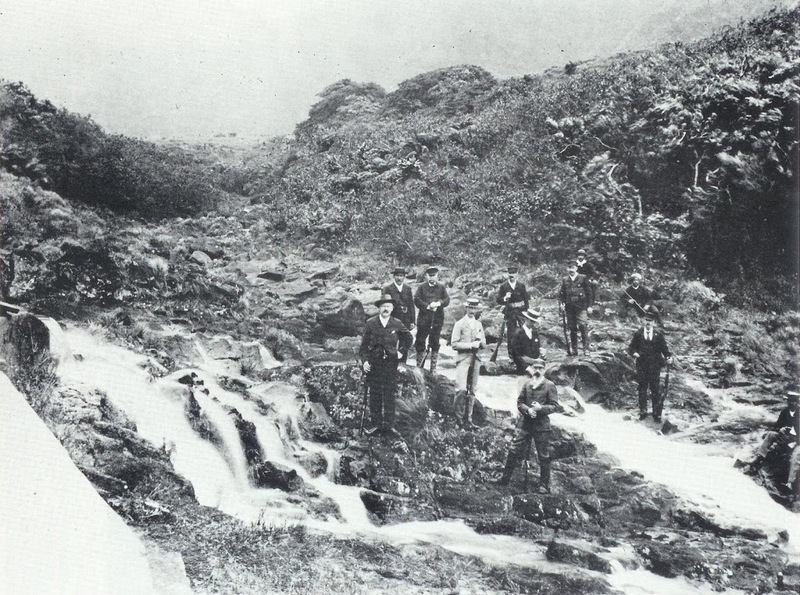 In 1895, an abortive attempt by Hawaiian royalists to restore Queen Liliʻuokalani to power resulted in the Queen’s arrest. She signed a document of abdication that relinquished all her future claims to the throne. Following this, she endured a public trial before a military tribunal in her former throne room. The sentence was commuted to imprisonment in an upstairs apartment in ʻIolani Palace. Queen Liliʻuokalani’s “prison” room is on the makai-Diamond Head second-floor corner of ʻIolani Palace. If you visit the Palace today, the area where the Queen was held is clearly noted by its white covered-over window. Contrary to urban legend, the Palace windows were not frosted and painted over to block the Queen’s ability to see out and others to see her inside. In 1887, the Palace’s second story windows were opaque glass. When the Palace was attacked in 1889 during the initial Wilcox Rebellion, many of the Place windows were broken. When repairs were made (through 1890,) these windows were replaced with frosted glass. During her imprisonment, the Queen was denied any visitors other than one lady in waiting (Mrs. Eveline Wilson.) She began each day with her daily devotions followed by reading, quilting, crochet-work or music composition. Embroidered dates indicate the quilt was completed after Liliʻuokalani’s release on September 6, 1895. She spent 8 months in this room. 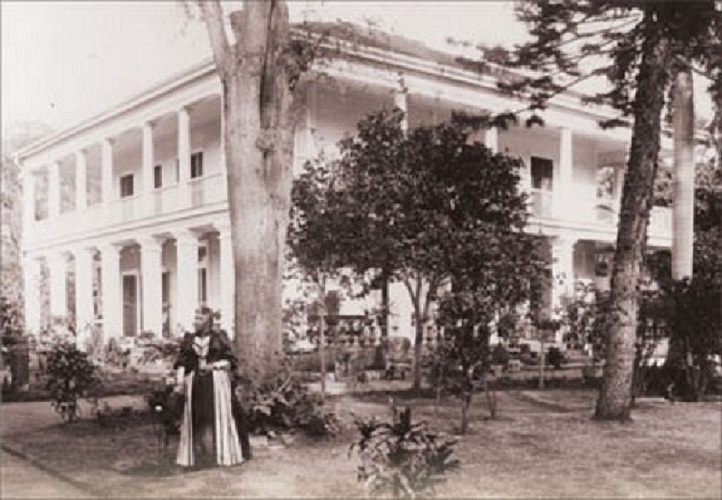 After her release from ʻIolani Palace, the Queen remained under house arrest for five months at her private home, Washington Place. For another eight months she was forbidden to leave Oʻahu before all restrictions were lifted. Liliʻuokalani died of a stroke on November 11, 1917 in Honolulu at the age of 79. The image shows the welcoming of Queen Liliʻuokalani at Washington Place on her return from imprisonment. In addition, I have added other images in a folder of like kind in the Photos section on my Facebook and Google+ pages.